When you know a prospect or customer has been on vacation because of their “out-of-office” message, plan to call them a few days after they return. This gives you an easy way to build rapport, because you can ask them about their vacation. 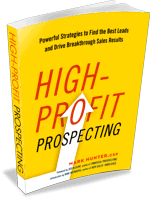 And you’ll build your sales motivation and prospecting skills as well. PrevPreviousNo One Will Motivate You. Only You Can Motivate You.